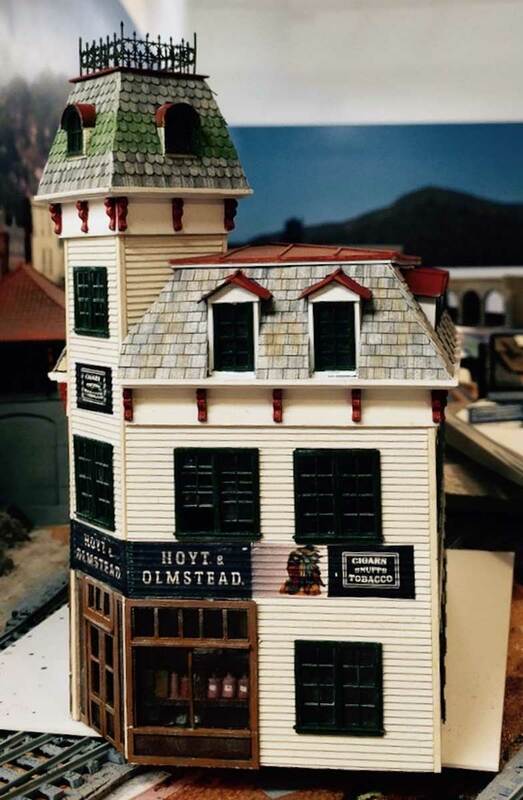 The last blog entry ended with the arrival of a friend who suggested a less labor-intensive method of matching the railhead height on two different manufacturers of code 83 flex track. The image above shows the unorthodox tools for this method. In a nutshell, masking tape ramps were installed to raise the end of a Shinohara track switch or flex track so it would be compatible with the top of the Atlas flex track. 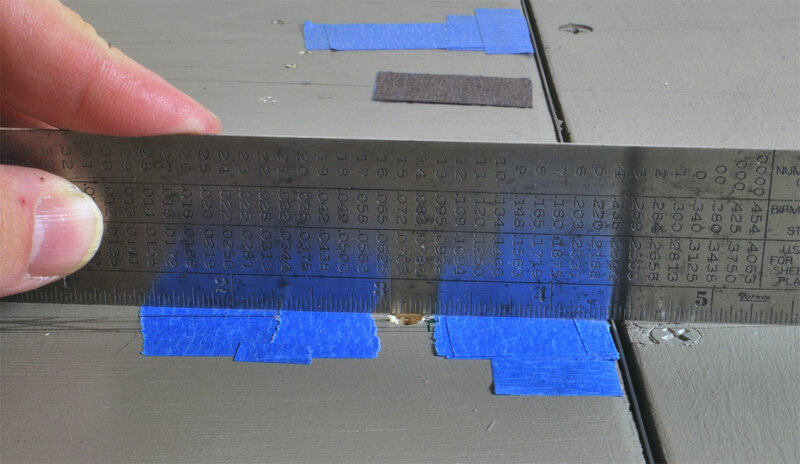 I used three-quarter inch blue painters tape, a pair of scissors and a metal ruler to build these simple ramps. Thanks to Mike Weiss for the idea. 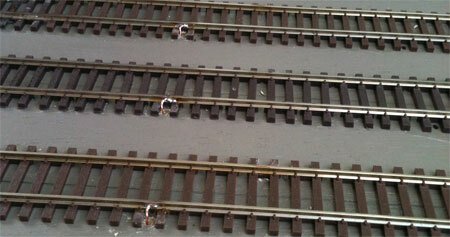 Start by marking on the roadbed the location of the last tie on the track that needs to be raised. Cut a piece of masking tape three inches long and place it on the roadbed along the track centerline and aligning with the mark for the last tie. 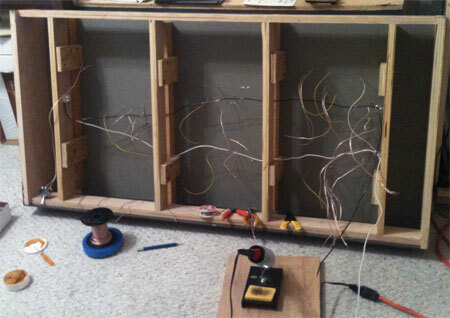 Place another three inch piece of masking tape on the other side if the center line from the first piece. Repeat this process with two inch pieces of tape. as a final step, cut a piece of one inch tape and install it perpendicular to the centerline but aligned with the mark for the last tie. Check how the track fits over the ramp. Add another piece of tape if needed, but the thickness of three pieces of tape should be fine. 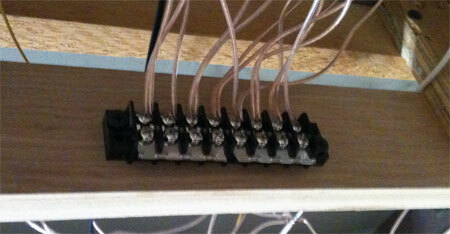 In the following images, I used tape to raise one end of a Walthers/Shinohara track switch. Click on any of these images to view larger versions. Check your rail with a metal ruler to see if your tape ramp did the job. Once you are satisfied with the ramp, paint it a grey or earth color to seal the tape and disguise the ramp. As my layout is sectional, there are a number of places where track crosses from one section to another. There are a few places where the sections have an uneven interface. Use a metal straightedge to check these spots where the track will cross over a section joint. Each instance is slightly different and a careful eye will determine how long a ramp and how many layers of tape will be needed. With a pencil, mark the location where the roadbed is at the proper level then install a couple of tape strips and check again with the metal ruler. 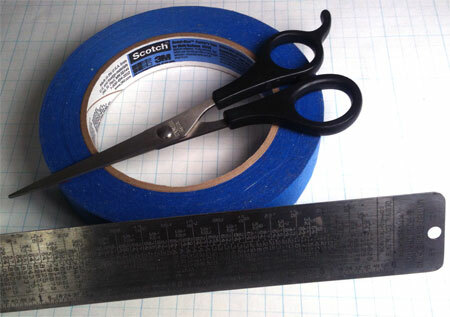 Add tape layers to make the transition smooth, but note the tape strips should be shorter as the layers increase. Once you are satisfied with the new transition, paint it a grey or earth color to seal and disguise the tape. 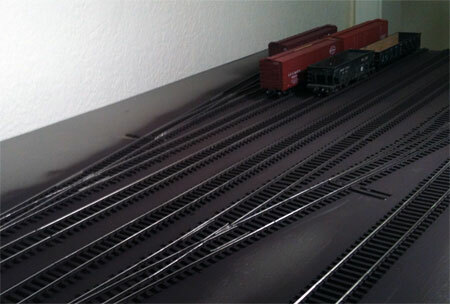 Take the time for a few extra steps when installing your track so you end up with a smoothly running railroad. You will find this is much easier than returning to a problem area later to tear it up and rebuild. I welcome your comments. Please follow the directions of the anti-spam program when you leave a comment below. Comments are reviewed and approved before they appear here.